I was browsing around the Bluegrass Unlimited site today and ran across a couple of reviews they did of our DVDs. (BU is the premier bluegrass magazine. If you don't subscribe already, you should.) I'll post the links as well as the complete text, just in case the link stops working at some point in the future. The Murphy Method is the common sense method of learning, used by many folks who don’t want to be hindered by learning too much music theory, but want to be able to play an instrument. In days gone by, young people watched their elders play and imitated them, often when no one was around. In this case, we are looking at banjo. 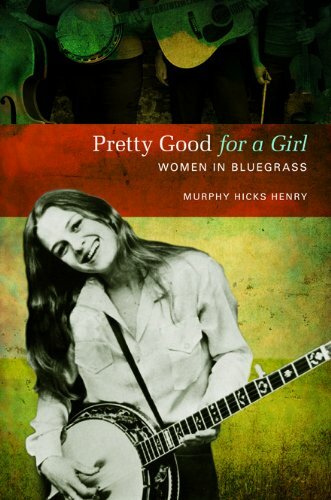 Casey Henry is an accomplished banjo player and, as it turns out, a very good teacher. There is no tablature used here. Learning is by example and, so, we are patiently shown how each tune is played at speed and then painstakingly slowed down, lick by lick. Murphy Henry, whom the method is named after, supports her daughter on guitar and vocals, so both leads and backup playing can be demonstrated. 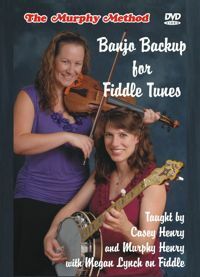 The lessons are well-organized and well thoughtout, providing clear shots of both hands and an empirical example of how the banjo interacts with the guitar and vocals. This meshing of banjo and guitar lines is at the heart of traditional bluegrass music. The focus is on five songs, all of them standards: “Old Home Place,” “NinePound Hammer,” “Salty Dog,” “Amazing Grace,” and “Ballad Of Jed Clampett.” Not only will you learn to play clean, concise versions of these tunes, you will be given patient examples that you can return to, until you get each lick. There is an assumption made that the viewer can already play the basic rolls, knows most of the basic licks, and can string them together. There is a chapter, “CGD Songs” that will help with all of this. You can’t beat experience, especially when it comes to teaching. Murphy Henry is everything I like in a teacher: knowledgeable, thorough, patient, but most of all experienced. 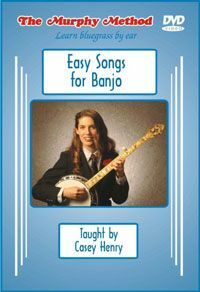 She’s confronted just about every problem and question a student might have, and she puts that experience to use in this addition to her extensive DVD banjo instruction series. 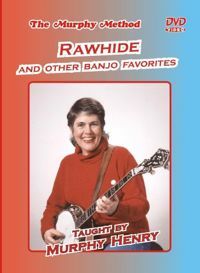 The Blistering Banjo Favorites that Murphy teaches on this two-hour DVD are “Rawhide,” “Bluegrass Breakdown,” “Theme Time,” and “Hazel Creek.” All are accessible from several levels of easily navigable menus. Much has been made of the fact that Murphy doesn’t use tablature, preferring to teach by sight and ear. Proponents and opponents of this method can sometimes overstate their cases. What’s important is the end product and many people have learned banjo (and learned it well) by using The Murphy Method. The benefit of not using tablature is that the lesson goes straight into the cerebellum and you don’t have to wean yourself away from the written page. Frankly, the only downside I see is that you can’t quickly refer to measures on a page and might have to watch the DVD to isolate a particular passage. In the age of instant digital access, this is not a problem. Murphy is one of the cleanest, most straightforward players around. She teaches more than notes and chords here; she teaches tone, timing, and touch. Posted in DVDs and tagged bluegrass unlimited, Easy Songs for Banjo, Rawhide, reviews on June 20, 2010 by admin.